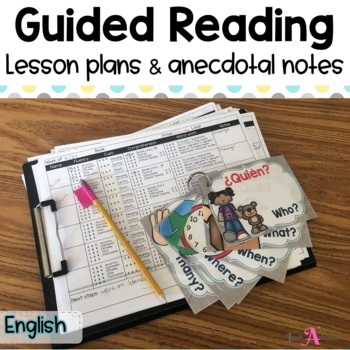 These Guided Reading Lesson Plans will help you make planning, instructing and collecting data more efficiently and effectively. 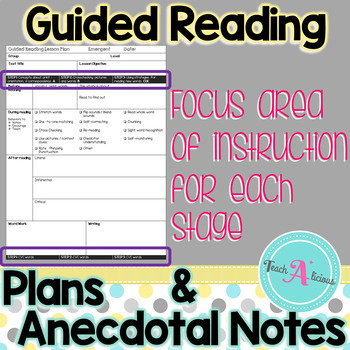 The 5 templates have overall goals for each reading stage to help you focus on the most important skills at each level, and the anecdotal notes checklist will help you track students' reading behaviors. Lessons aligned to Fountas and Pinnell letter leveling system and the STEP (Strategic Teaching and Evaluation Progress ) assessment. 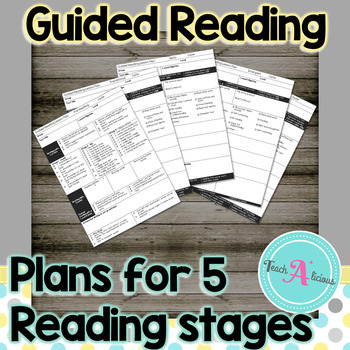 5 lesson plan templates for each reading stage (Pre-reading, emergent, early, transitional, and fluent). 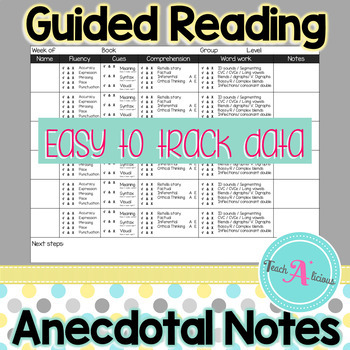 Anecdotal notes capturing sheet to track reading behaviors and next steps for instruction. Directions for how to use the lesson template.